Law enforcement in Randolph County is provided by the dedicated men and women of the Randolph County Sheriff’s Office, a full-service law enforcement agency serving and protecting the 7,000 plus residents and patrolling the 431 square miles of Randolph County 24 hours a day, seven days a week. The Sheriff’s Office is a department of county government and is funded through County taxes and other revenue. The Sheriff is the chief law enforcement officer in the county. Sheriffs and their deputies are certified through the State of Georgia. The Sheriff is an elected position serving a four year term. Due to the elected nature of the office, the Sheriff’s Office is directly accountable to the people which it serves. Every county in Georgia has a Sheriff’s Office as a constitutional requirement. The Sheriff’s staff operates in a variety of roles including Uniform Patrol, Court Services, Detention, Criminal Investigations and Administration. The Sheriff operates the jail and provides court security as well as being responsible for serving civil papers and executing arrest warrants. A full service Sheriff’s Office also provides primary law enforcement within unincorporated areas of the county and may contract with municipalities to provide such services within municipalities. Whether or not a contract is in place, the Sheriff still has full jurisdiction within municipalities in his county. 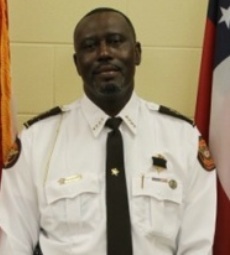 Sheriff Eddie Fairbanks was born and raised in Shellman, and has resided in Randolph County his entire life. He was appointed interim Sheriff in 2013 upon the death of Sheriff Gary Yochum. Sheriff Fairbanks won the special election in March 2013, to fill the unexpired term of Sheriff Yochum. Sheriff Fairbanks has completed more than 1,200 hours of formal law enforcement training.